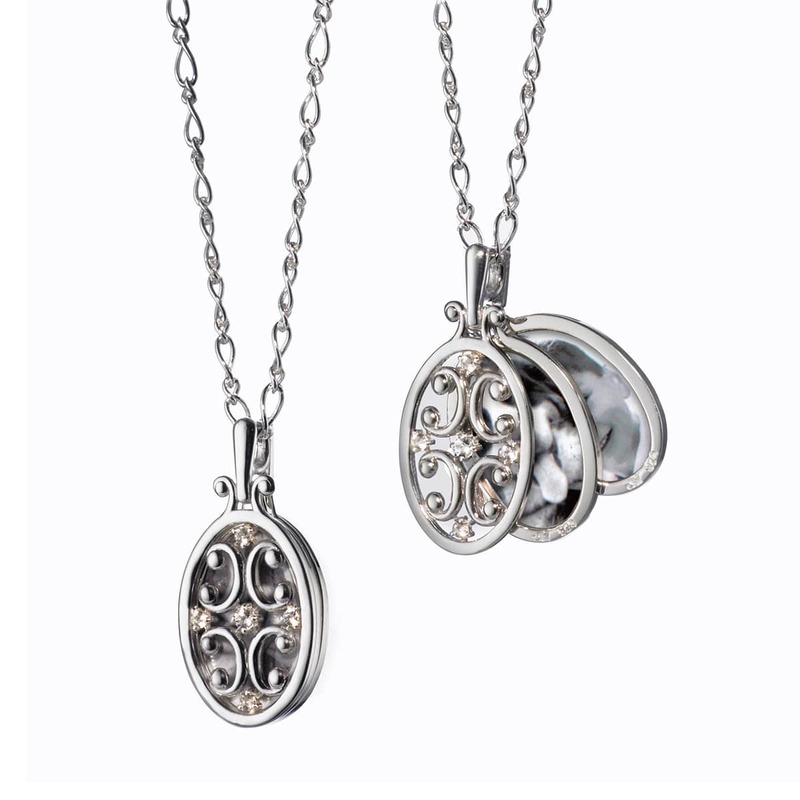 Inspired by a child peeking through an iron gate, this unique Sterling Silver locket concept features two single image cases finished in our signature floral pattern peeking out from behind a scroll gate set with five white sapphires. The 18-inch open link chain allows for easy adjustment to almost any length. 1" in height. Photos easily slide in the top of each image case. Also available to hold three photos (The middle image case holds a photo on each side).